Welcome to NorCalPGR.org, the web site for the Northern California Patriot Guard Riders. 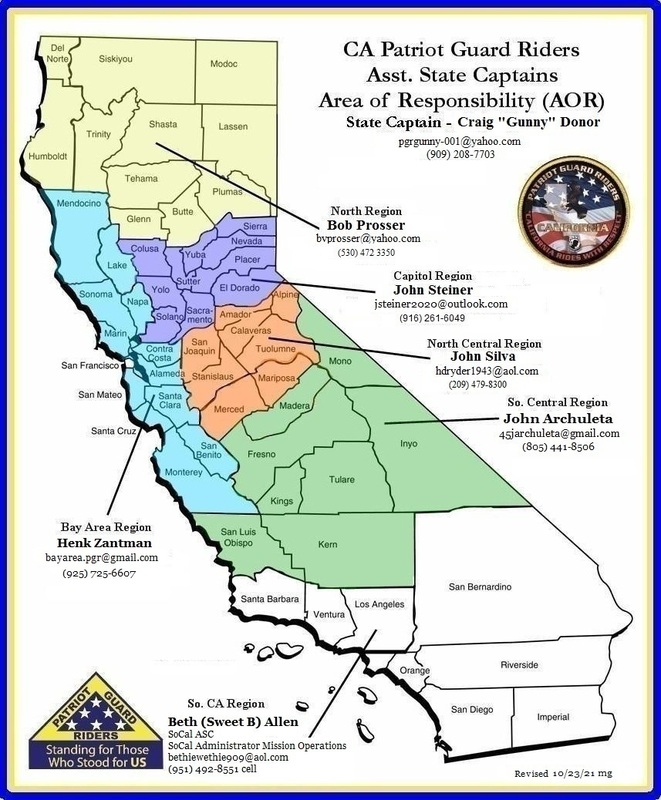 If you are attempting to locate a specific Chapter of the Patriot Guard Riders in California, whether requesting Membership, or for PGR participation with your family, please use the map on this page to assist you in contacting the local State Ride Captain. If you send an e-mail to the Ride Captain in your area, the e-mail will be routed to the appropriate Ride Captain for response. 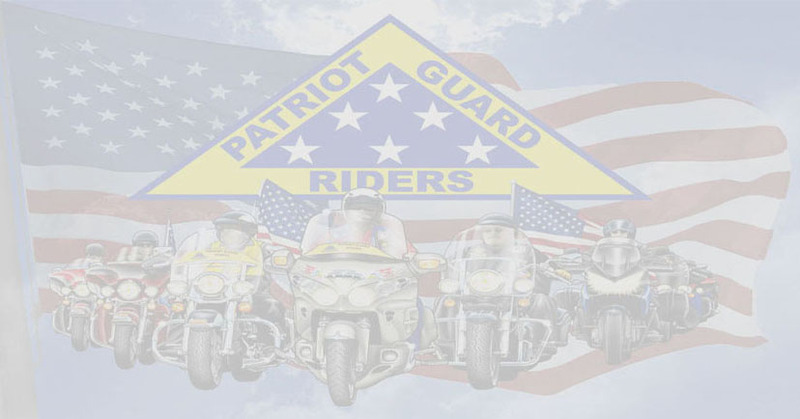 If you have questions for the Patriot Guard Riders, go to the 'Contact NorCalPGR' tab within the pages of our website, fill in the form with the appropriate information, submit it, and we will get back to you as soon as possible. You do not have to be a Veteran or a motorcycle rider to attend any missions. Everyone is welcome. We encourage those who do not ride to attend in your car. If this will be your first mission go to the briefing area and you will be briefed there. Dress for motorcycle riding or dress casually if you are driving a cage (car).